We have treat for you today. 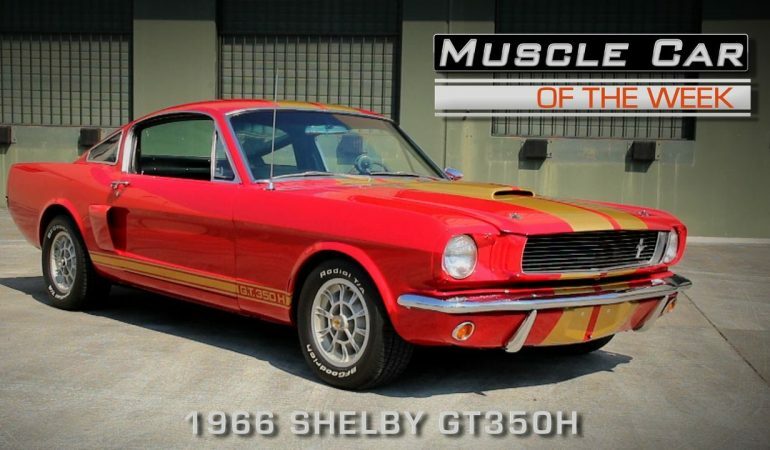 It is, of course this Shelby GT350H, a car that is equally nice to look at, and to drive down the road. Well, that’s not really true, but you have to admit that it does look stunning in this candy apple red. You probably haven’t seen a lot of these around, and that is because of the fact that they are extremely rare. To learn all there is to know about this awesome muscle car, click on the video below this text, and have a blast.